After a well portioned and tasty breakfast at Buns and Roses it was time to get underway and hit a few things on my “must do” list and get to the State Park to check in and find a campsite before dark. Of course my list of items were no way along the way to Big Bend Ranch State Park, but thankfully we were on vacation and just living the life of doing things and letting time work itself out, plus with Jayne waking us up early we had plenty of time to get my list checked off. Highway 90 was basically my list. 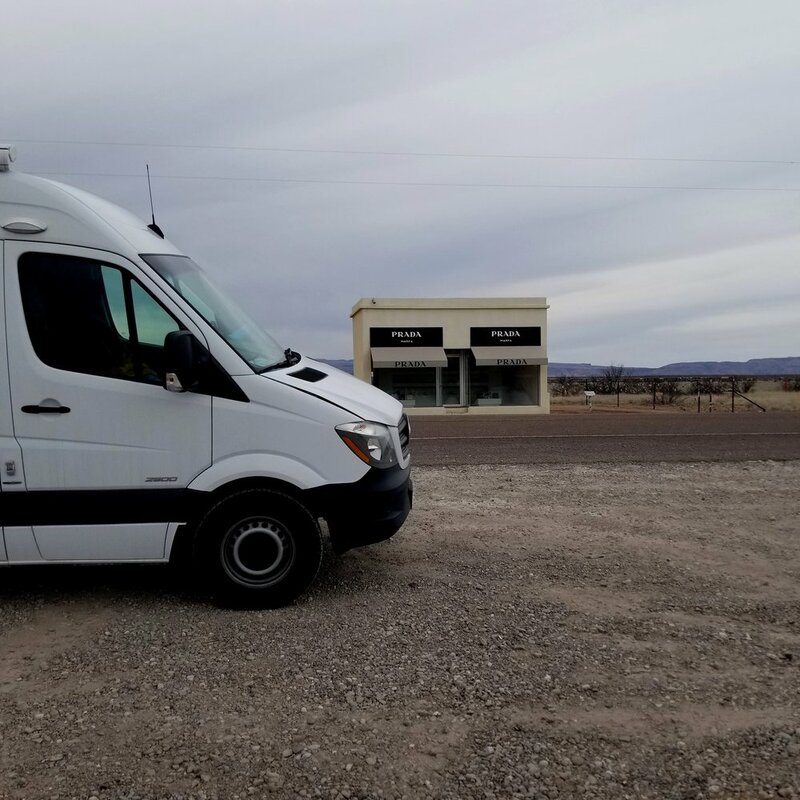 First we had to hit up Prada Marfa, because when you are that close you have to go out of your way and make sure you get a picture for Instagram. And well I just wanted to see it after hearing about it from my parents, my friends, travel blogs, and even a mural in Deep Ellum. I will admit it was exactly what I expected and we even ran into another couple doing the same thing. It was worth the half an hour drive in the wrong direction, but mostly because the drive was scenic, but I got the photo and the Old Man was nice enough not to pick on me too much about it. On our way to Marfa Prada we past by Little Reata Ranch from the movie Giant with James Dean and Elizabeth Taylor. Little Reata has its own art installation including music playing out of rock speakers. So on the way to my next to do list item we made a pit stop so again I could get some pictures in. The Old Man even got in on it and work on his perspective shots (see photos). 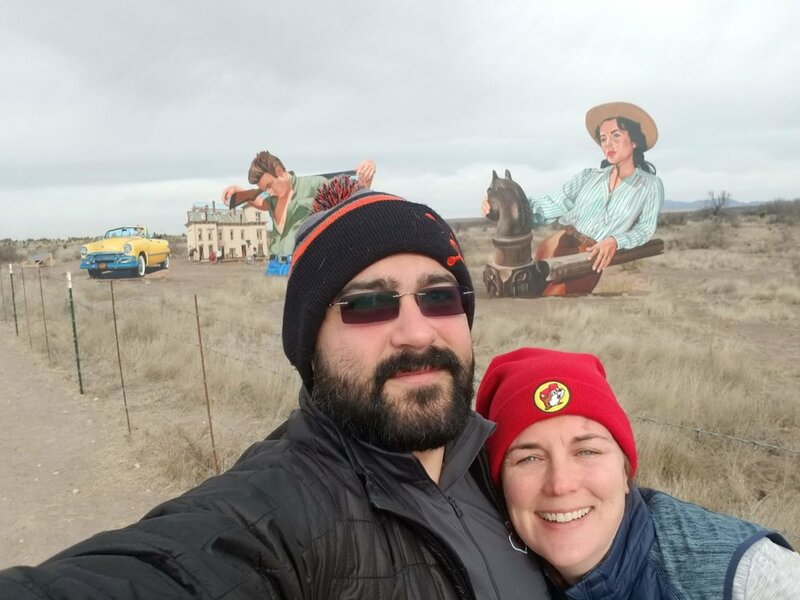 I must say I was much more impressed by the cut outs of the ranch house, James Dean, and Liz Taylor than I was of Marfa Prada. 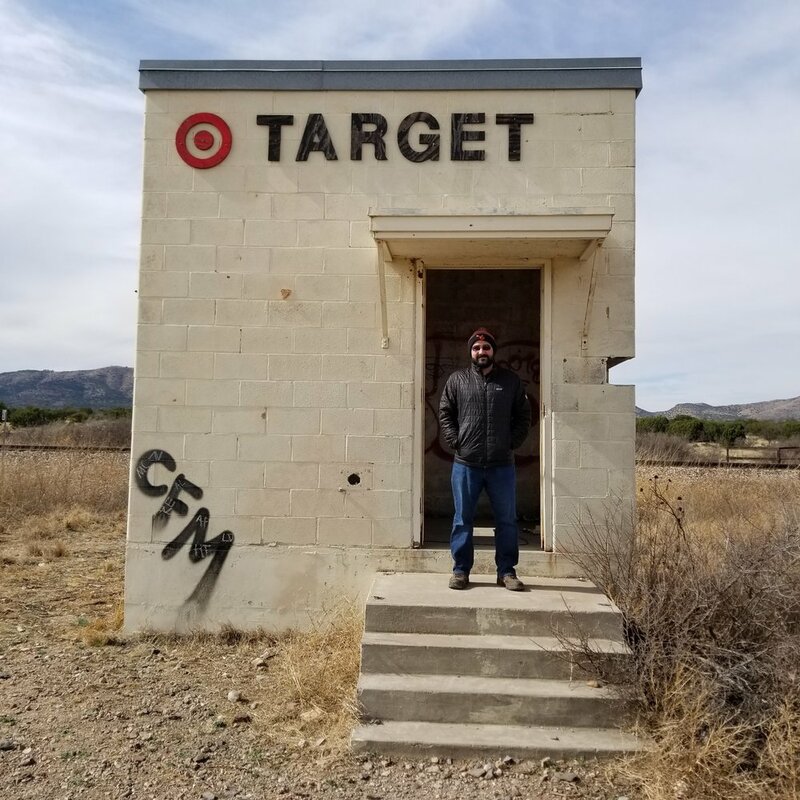 My last stop on Hwy 90 was Tiny Target aka Altuda Target, something I found on a travel blog about the the Big Bend area. But first we had to stop at the Marfa Light viewing center even though it was daylight. We had originally planned on sleeping there and getting a glimpse of those elusive lights, but as I mentioned before it was a bit chilly and we didn’t feel like we needed to be miserable if we didn’t have too. While we obviously we weren’t going to see the mystery Marfa lights, the center had so many plaques with cool information about the landscape and of course the lights that it was worth the stop (sadly the bathrooms were locked). But back to Tiny Target it is just an empty railroad switch station with some creative art. It was all I wanted it to be, amazing, funny, and tiny. 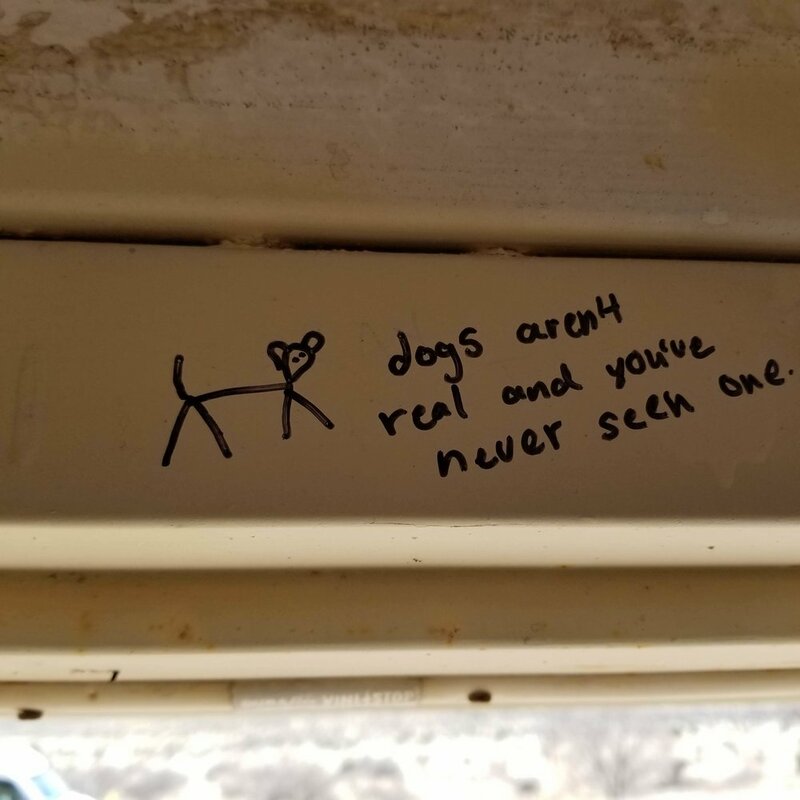 It was worth the stop just to read the graffiti and since it is a new attraction I get to say I was there before everyone else. Ok maybe not everyone else, but before it gets as popular as Prada Marfa. Of course the best perk of tiny Target is that no matter how many times I looked into the eye I didn’t spend one single cent. Photos of Tiny Target taken, joy and laugher had it was time to head on down to the state park for a bit of hiking and find our spot for the night. The drive from Alpine, TX. down to the state park was amazing. I can’t even believe that I am still in Texas! I am sure those from that area would say the same thing about the Gulf Coast of Texas, and it is just proof that Texas is a giant state with many things to offer for everyone. On the drive I had a moment while checking out the landscape and mooing at cows that a few million years ago this was the bottom of the ocean, and you can really see that fluidity in the mountains, valleys and buttes. I also appreciate that they posted signs on the side of the highway to point out and give the names of all the peaks we were passing. We made a quick stop in at Terlingua to check out the ghost town and enjoy a bucket of beers at High Sierra Bar and enjoyed the view from the top deck. After our beers we headed to the Visitor Center to check in and hear the bad news that the weather forecast was for overcast days and nights for our two nights stay. With our hearts hoping the clouds would clear and we could stargaze to our hearts we headed off to one of the two dog friendly hikes, Closed Canyon. 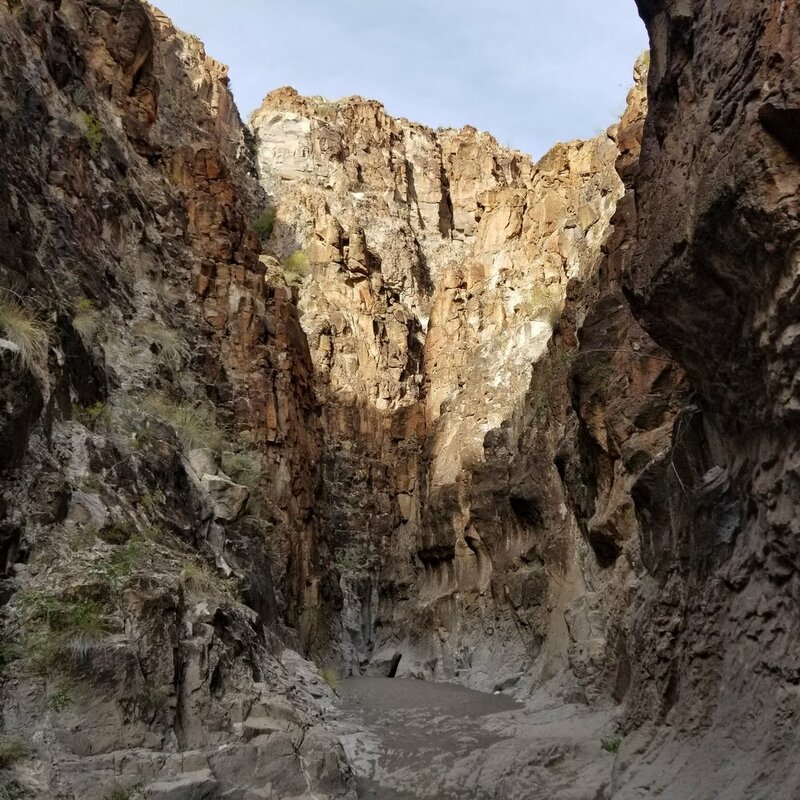 The dogs were excited to get out and explore all the smells and we were excited to walk around in a slot canyon and enjoy a bit of nature. Hike done, dogs worn out, us realizing we are a bit out of shape it was time to find our home for the night. And yes we picked the site down by the river. We spent all the rest of the daylight hours enjoying some dinner a few beers and praying that the clouds would just go ahead and burn off. As the sunset we realized that the clouds weren’t going to clear and stargazing was not going to happen. Oh well tomorrow is another day and we can hope the weatherman is wrong. Feb 20 Congratulations You Snuck Into Mexico!